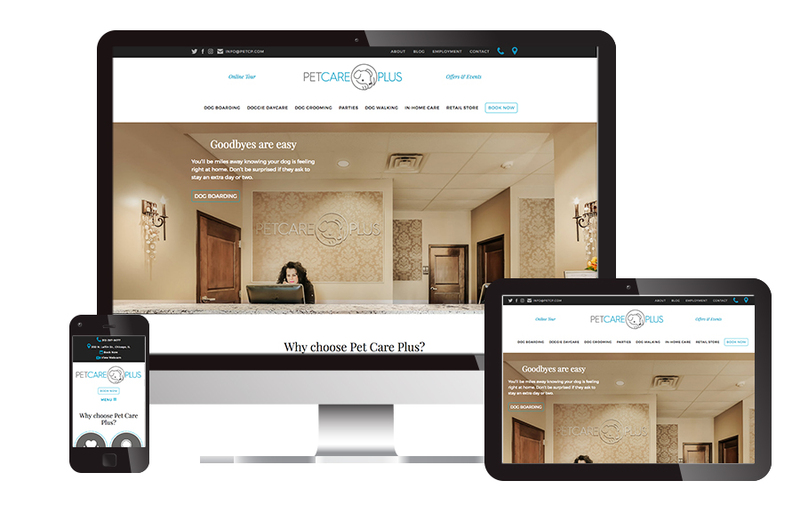 Pet Care Plus is an upscale Chicago-based dog boarding facility offering boarding, grooming and dog-walking services. They came to us with a web site that was very clean and modern, however it didn’t represent their brand. It came off as too cold and unfriendly; it also did not feel like a high-end and luxury experience. 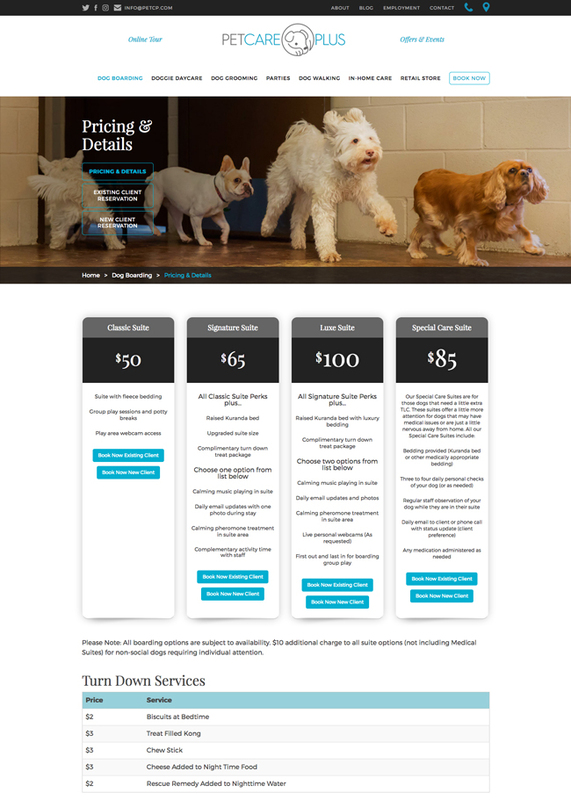 In addition to redesigning their site we worked with them to reorganize their content to make it more logical for their clients to find and added headings and images to break up the content and make it easier to read through. 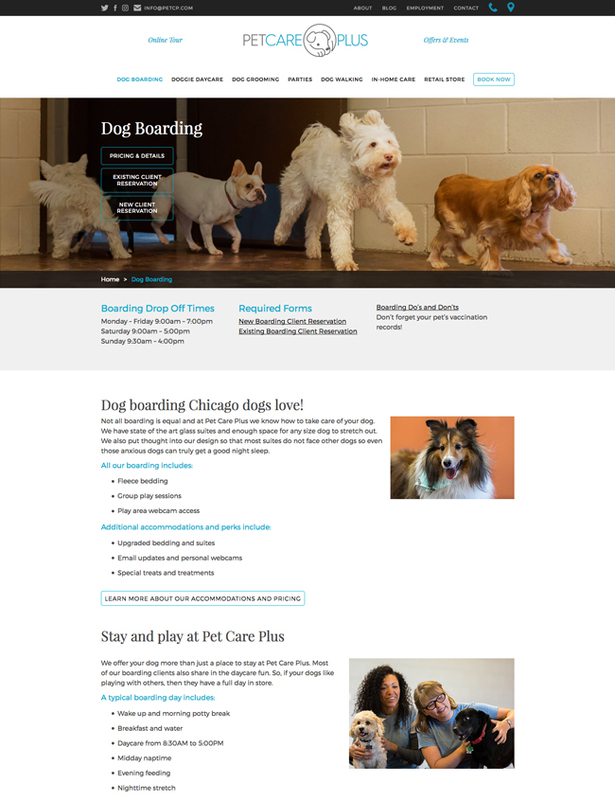 The site is built on WordPress with a custom developed theme.